The lovely people at Hamptons Islington have provided me with two sets of hassle-free tenants, both giving an excellent rental return. Their enthusiasm & knowledge of the local & international market is invaluable in securing the right people into your property, they have contact with relocation agents & overseas clients that guarantee above expectation results. When the time came to sell my property, Hamptons sales did an excellent job in realising a superb price for my flat. I would not hesitate to recommend Hamptons Islington as agents for your property. We first tried to let our house in De Beauvoir Town with another agent and failed miserably. Hamptons were our second choice but the contrast couldn't have been greater. Everything they have done has been outstandingly professional. For instance, they always respond within hours to any concerns we might have. Most important of all, within weeks they found us the ideal tenant. I can wholeheartedly recommend them to other landlords looking for an agent. I have just rented a flat with Savills and the service provided to me was outstanding. Sam Juner was always available, quickly answered my questions and managed to have everything done in a very expedited way. Fego Emaviwe has also helped a lot, always responsive and attentive to my needs. I definitely reccomend. While Savills Islington will certainly whisk you off your feet to get you into a letting we would be extremely cautious when dealing with their letting management team. While our interaction might be ‘standard’ for letting in London the Islington team tasked to handle the ‘day-to-day’ of lettings seemed ill prepared, ill informed and often unable to handle the most basic task. Perhaps their job was to make it seem as such and hope you might never ask again for follow-up. Given the above, during the majority of or tenancy in Islington at a flat managed by Savills we (luckily) had little interaction with the staff. This was likely due to the fact we were in a more recently renovated unit that required little work and we kept it clean and and good repair. However, when there was a need getting Savills to action on required items often took multiple emails, calls and missed appointment times. During our tenancy of approximately eighteen months we had an endless stream of ‘new’ property managers who seemingly had no idea what the previous person was doing. One such example was that the flat had an outdoor patio which was completely unusable for the first 4-5 months of our letting as we continually emailed Savills for a repair to the paint which was flaking off the walls (and covering the floor). This rendered the patio unusable as the paint would either be tracked throughout the house or one would need to sweep/vacuum for an hour beforehand to prepare. While a ‘slow’ response time is frustrating we likely cannot say this is abnormal for any tenancy management and again, and given the general condition of our flat was fortunately a rare occurrence. However, we would note anyone dealing with Savills tenant management staff will need to exercise a great deal of patience despite what we would have imagined as a first rate response/management office.. However, the most frustrating aspect of our interaction with Savills came at the closing of our tenany. It took Savills over a month to forward the basic list of deficiencies upon moving out. This was accompanied by endless emails and accusations that we had lost items such as keys which were clearly noted/pictured in the check-out report or that we had hung pictures without permission (despite providing email confirmation from the previous team member confirming the ability to hang pictures). The back and forth on such basic items (us telling them to simply look at the report and go to the flat to find the items which they after weeks eventually did) was not only needlessly infuriating but exhausting. It was not until we escalated our request to their internal complaints team and multiple calls and emails to higher management that any action was taken. Ultimately, it took five weeks for the Islington branch to prepare the deficiencies log which meant that it wasn’t until five weeks after moving out that we could even begin having the discussion on which items we agreed or disagreed with. The fact it took over five weeks to prepare a typical form which Savills themselves note they provide within ten days of moving out was again, a needlessly frustrating experience and but one example of how they needlessly complicated easy tasks. The primary caution with Savills Islington is that while the office presents a polished exterior and one would expect a high level of service from such a generally well spoken of office you are often met with abysmal service. Chesterton Humberts in Islington are great. Finding a flat was quick and painless. I am still in the flat Chesterton Humberts estate agents found for me, however, I am looking into another property because I considering moving to a bigger flat. If I do, I will most certainly use Chesterton Humberts! Avoid at all costs. We have had major problems with house which were repeatedly ignored by Victorstone. Rude, unhelpful staff who continually fobbed us off with promises to 'phone back later' and ignored our emails. Deposit is yet to be returned despite legal requirements for this to be repaid within 10 days. I would bet money that these good reviews are fakes: these estate agents more like con artists. We recently sold our flat through Dexters Islington and received an excellent service. Will in particular was extremely helpful from the onset, providing fresh ideas after we had tried to sell with another agent without success. Dexters found us a buyer, allowing us to continue with our onward purchase and chased solicitors when needed to make sure we completed on time. I would definitely recommend them if you are looking to buy or sell in the area! Dexters in Islington was a pleasure to deal with. Moving to London from another country presented a lot of differences in renting a home, but Dexters made the transition as smooth as possible. I highly recommend. Very professional, and helpful in more ways than one. Henry Liu delivered on all fronts, be sure to seek him out. 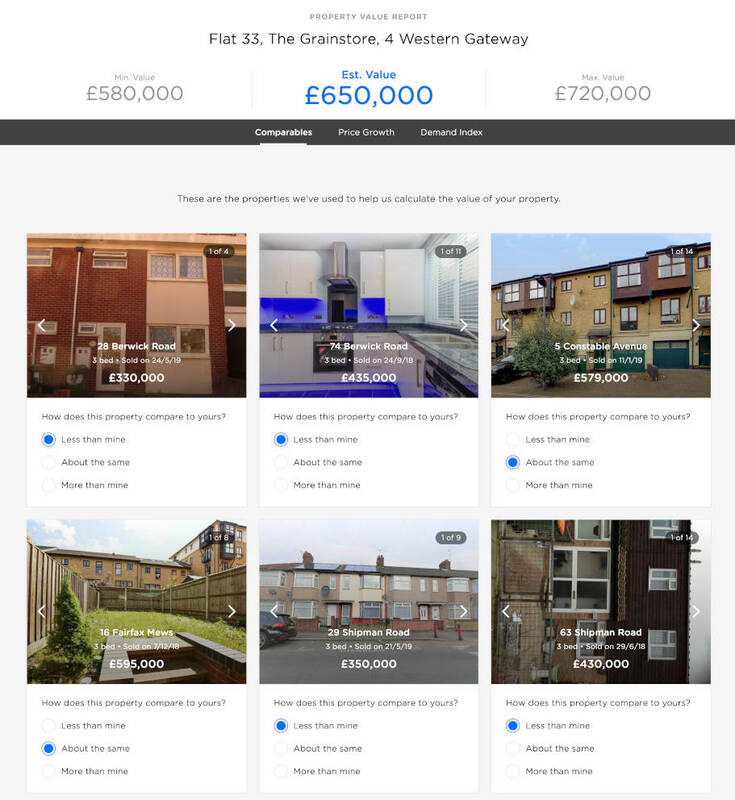 We’ve helped 270 people find the best agent in N1! Our clever technology recommends the best agents in N1.